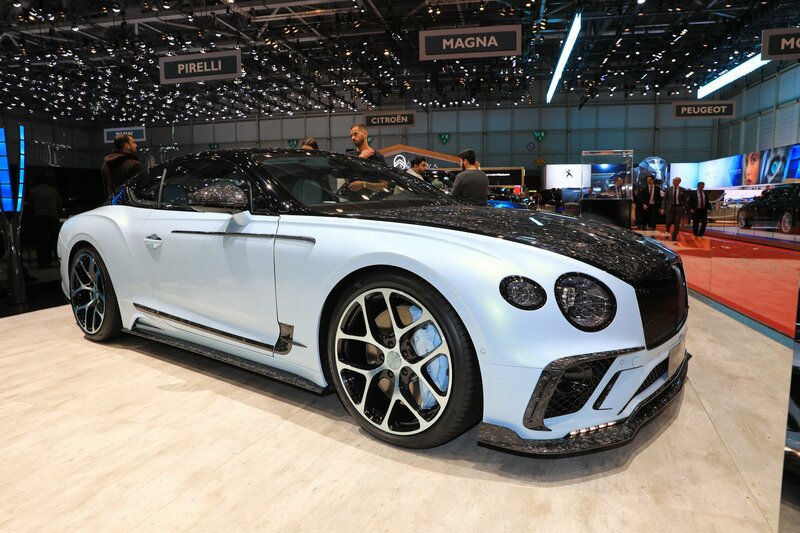 Of all Mansory works exhibited at the 89th Geneva International Motor Show in Switzerland, this custom Bentley Continental GT will surely be remembered as one of the coolest. The tuner did not give us any technical specs, but do those even matter anymore when you get as much eye candy as this? Perhaps; perhaps not. The body of the grand tourer is high-gloss white with lacquered carbon accents throughout. Carbon parts include the front spoiler, the side air intakes, the rear spoiler, the hood cover, the side skirts, the mirror caps, the rear diffuser and the rear wing. The car rides on huge 22-inch alloy wheels concealing light-blue brake calipers behind the spokes.